Many community members are very satisfied with the provision of clean and safe drinking water from our projects. Following the repair of rural boreholes, we receive comments like this one: “We have no more stomach problems or frequent cases of typhoid” says one man months after the rehabilitation of his village borehole. co2balance and Vita are currently enabling clean water development in East African countries like Eritrea and Ethiopia. Wanting to expand the impact of their successful water projects, Vita and co2balance are now looking at starting further activities in Zambia. To get a first impression of the situation on the ground, co2balance Director Mark Simpson and Vita’s Head of Programmes John Gilliland recently visited the Southern African country. Meeting with potential partners as well as viewing broken and repaired boreholes, co2balance and Vita are building contacts and assessing the potential for new projects – capable of improving rural livelihoods and reducing carbon emissions. We will keep you posted…! 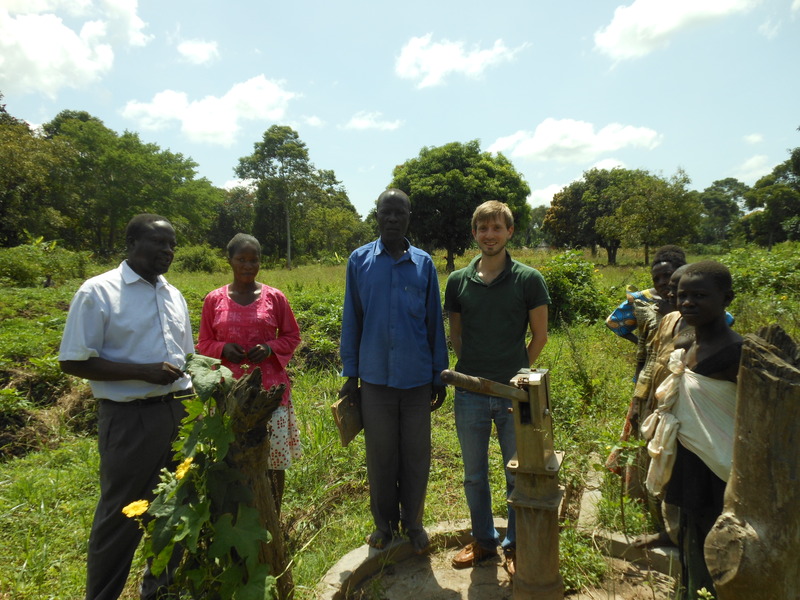 Expanding on its successful activities in Northern Uganda, Co2balance has just listed a group of 12 new Gold Standard Projects in the Lango Sub-Region. 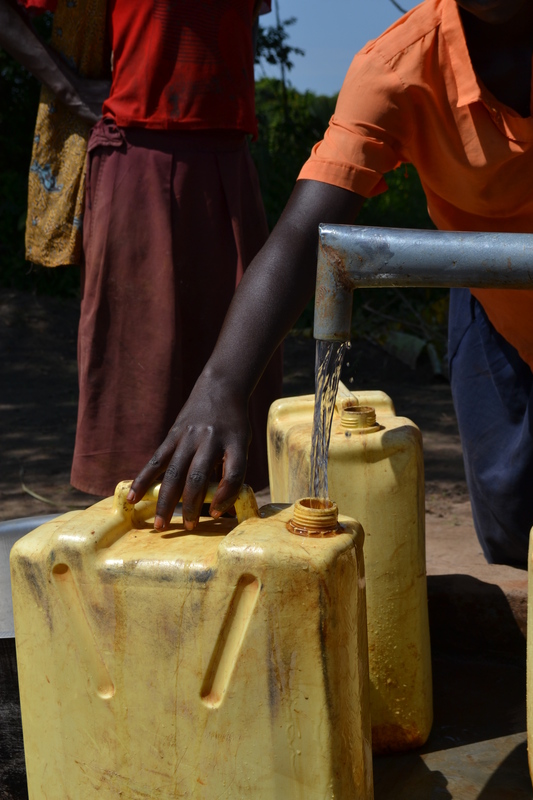 The ‘Lango Safe Water Project’ seeks to increase access to safe water supply for thousands of households within the six districts of Dokolo, Otuke, Alebtong, Kole, Lira and Oyam. Focusing on boreholes, the project will utilize a variety of zero-emission technologies like hand-pumps or solar-powered pumps to provide water in rural communities. With over 45% of the rural population in Uganda relying on unprotected and easily contaminated water sources like rivers, lakes or open wells, the project shall reduce the need for water purification and the combustion of firewood. Unprotected water collection point in Alebtong District. 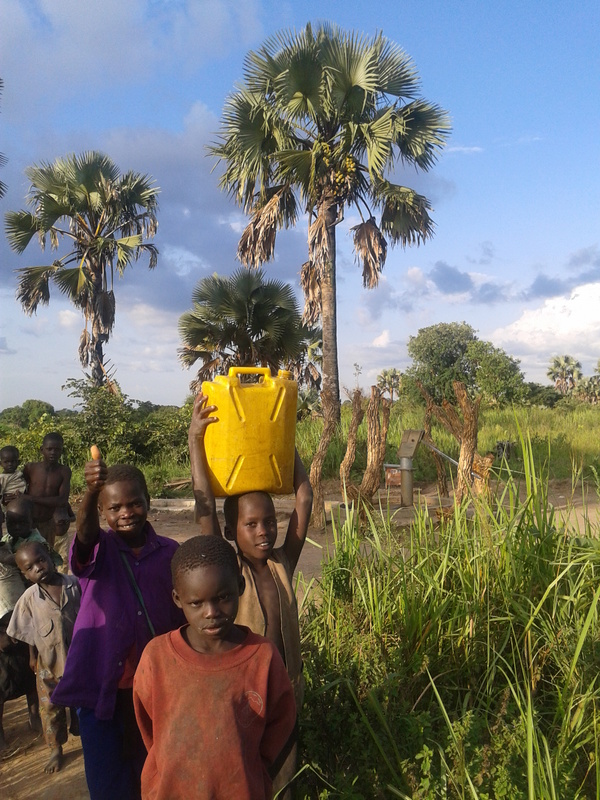 In the Lango region, many boreholes have fallen into disrepair because maintenance proved too expensive or programs have been poorly managed. Co2balance will use carbon finance to work with community groups to deliver a long-term rehabilitation and maintenance program. Stakeholders are currently invited to provide their feedback towards the project until the middle of October. 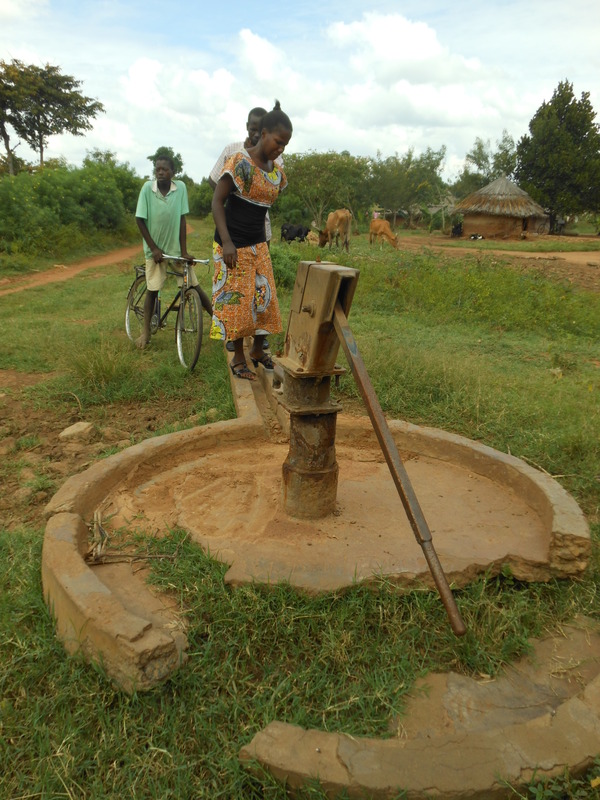 CO2balance are pleased to announce the registration of a second borehole rehabilitation project in Kaliro District (GS3563) under the global micro Programme of Activities (mPoA). Together with the support from the local NGO Women’s alliance and Children Affairs (WAACHA), CO2balance works closely with a range of stakeholders such as district officials, mechanics and community leaders in order to ensure that our projects benefit the most vulnerable people. During my last visit to Kaliro, we organised a meeting with the District water officer, who explained some of the challenges affecting rural water resource management in Uganda. Among the key problems he mentioned, was the lack of capacity to cope with borehole maintenance and repairs. Although most boreholes are owned by the communities themselves, the costs associated with maintaining them are simply not affordable, which means that the responsibility falls on the shoulders of the local government. 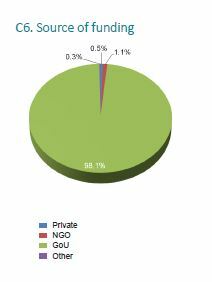 As shown in the chart below, over 98% water points are funded by the government. Even though a significant part of the District’s annual budget goes towards the maintenance of water points, it is clearly not enough to cover the demand. This means that many communities are often left with no other choice but to collect there water from unprotected sources such as swamps, rivers and ponds which are highly susceptible to water borne diseases such as typhoid. Located in the south-west of Uganda, Kaliro District has a total population of 202,200 people of which only 13,282 reside in urban areas. Current sources estimate that approximately 37% of the rural population are still without access to protected water sources. 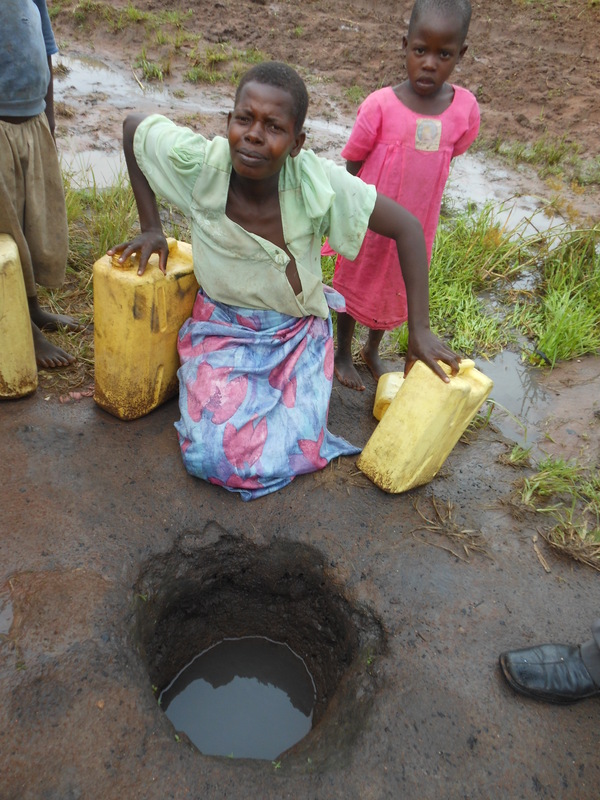 Of the people that do have access to potable water, 99% rely exclusively on boreholes and shallow wells. Considering the lack of financial capacity of the local government, combined with the overwhelming importance of off grid water points-using carbon finance as a means to implement sustainable water point maintenance programmes provides a practical solution to this problem and could potentially contribute significantly to enhancing water access throughout the poorest regions of the globe. 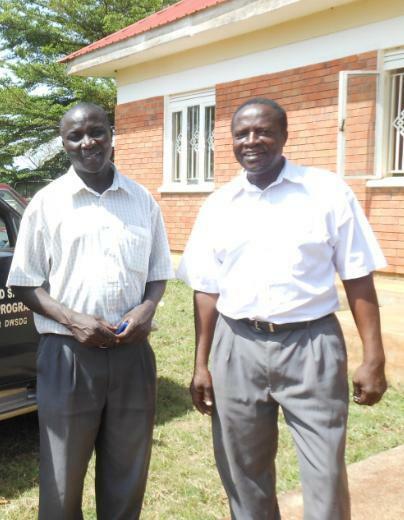 CO2balance meeting with the Kaliro District Water Officer (left) and Director of WAACHA, Noah Isanga. Any development practitioner would confirm the fact that without effective community engagement no clean water project can be successful, no matter how much energy, time and money spent on the project by other stakeholders. That is why CO2balance has launched a more participative WASH sensitization and community engagement programme in Kole, Otuke, Alebtong and Dokolo districts, where our borehole projects are implemented. The aim of the programme is to educate, train and engage communities on basic water, sanitation and hygiene issues in order to keep the water at both the borehole and the households level clean and fit for human consumption. Even when the water source itself is safe, water used for drinking may get contaminated because of poor water-handling practices or unsafe storage. That is why effective and continuous WASH sensitization in the communities is a very important part of our four Ugandan borehole projects. Andrew, our in-country-coordinator will soon report from the field with more updates on the programme.